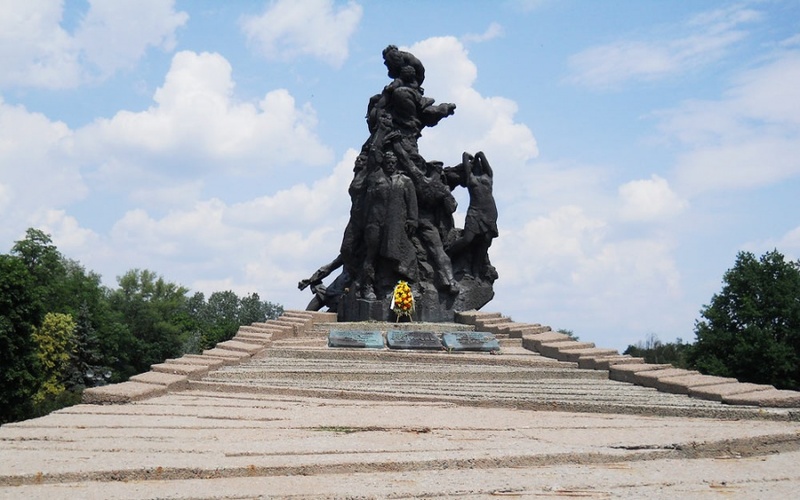 Babiy Yar is a ruefully known place of grief over the victims of appalling genocide, anti-Semitism and World War II. On September 19, 1941 the Fascist troops occupied Kiev, and in 10 days, on September, 29 they started to shoot civilians in Babiy Yar. According to German documents, in two days 33,771 Jews were killed. The ravine was turned into a burial place of Jews, Russians, Ukrainians, Hungarians, Czechs, Gypsies, prisoners of war, patriots, mentally handicapped and ill people. The Nazi did not even spare children, old people, pregnant women. 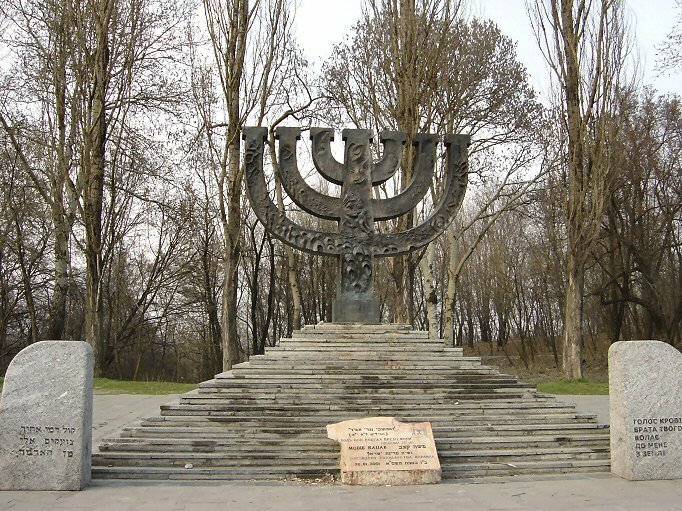 According to historical data, over 100,000 people were interred on the lands adjoining Babiy Yar, including 40,000 Jews. Some of victims were buried alive. Near Babiy Yar the fascists built a concentration camp that was called Sirez. It was the place where the Nazi kept their captives and forced them to work before murder. Those who managed to survive after the Sirez recall that they had to live in inhuman conditions. Every evening all the concentration camp prisoners had to align on the square, and each fifth or each tenth was shot. If someone managed to escape from the camp, each third captive was murdered. The hospital of the camp was full of ill, weak, bleeding and exhausted people. When it became too crowded, the Nazi removed the patients from the hospital and shot. Every day the Sirez was filled up with new victims. Some of them after a few weeks or months of living in the concentration camp were taken to Babiy Yar, where they were shot or just covered with earth. Small groups of people were put to the basket of the car that functioned so that the gas evaporations penetrated into the basket and people died of asphyxiation. Later the captives were forced to disinter the corpses, which were then burnt in the ovens made of old Jewish tombstones. The ash of burnt people was used as a fertilizer for German fields. The camp prisoners were suffering malicious insults; they lived and dyed in horrible conditions. 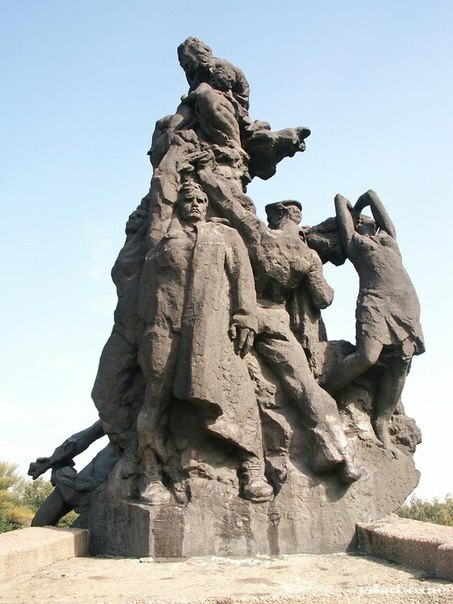 The tragic events that took place in Babiy Yar became a subject of many art works, such as Evgeniy Evtushenko's poem, novel by Anatoliy Kuznetzov, historical investigations, memoirs of those whose friends and relatives were slaughtered in Babiy Yar, paintings dedicated to the awful days of Nazi invasion and so forth. 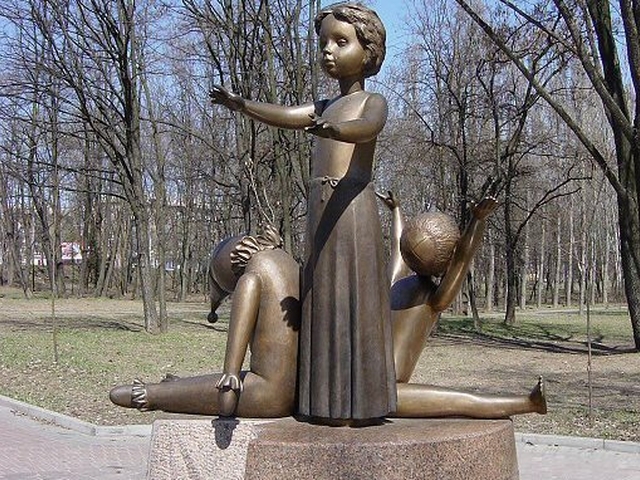 Nowadays the communal grave of numerous victims of fascists' cruelty is marked by monuments, including the one dedicated to children that died in Babiy Yar. 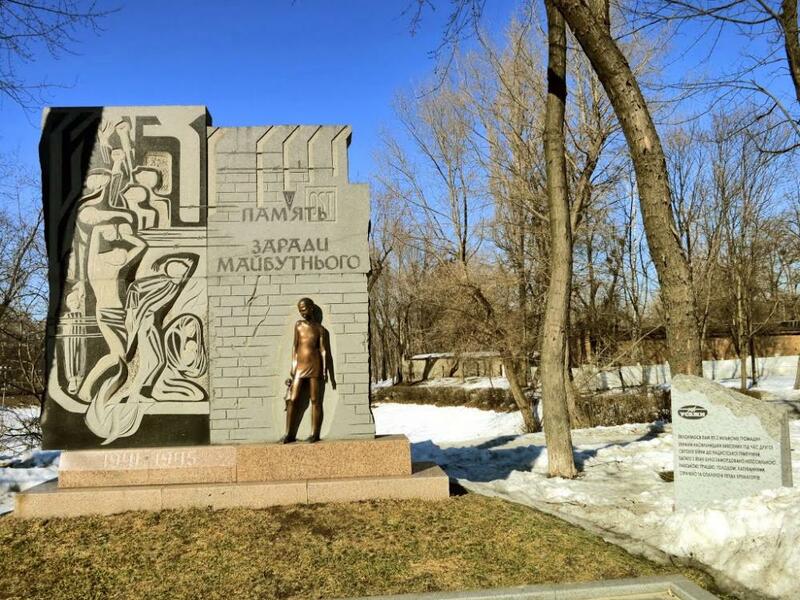 The monuments symbolize pain, despair and sufferings of those who experienced all the horrors of the Nazi invasion. In 1991 the USA President George Bush Senior paid a visit to Babiy Yar and rendered homage to the memory of the victims. 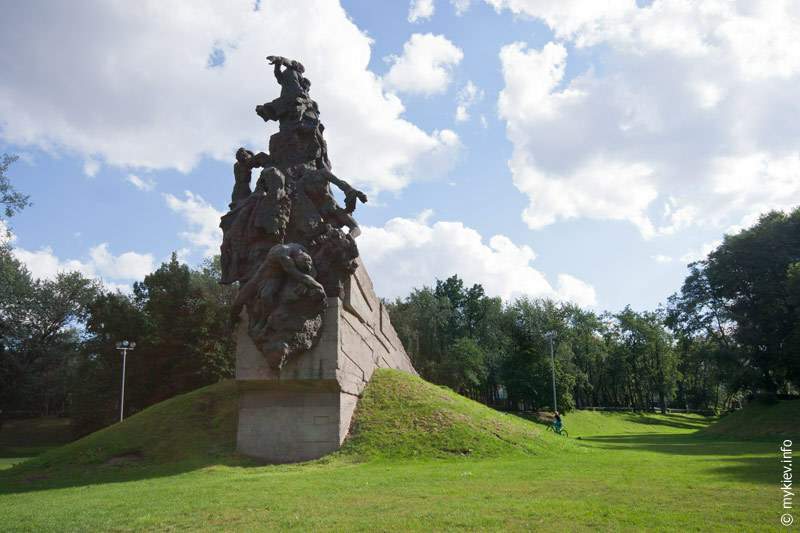 Each year on September, 29 Babiy Yar becomes the place of gathering of those who lost their friends and families in the days of the Nazi invasion. To get to Babi Yar possible from any station to the subway Dorohozhychi. The park is located right at the entrance.